Fairies and Gnomes and Santa! Oh My! Throughout the folklore of all cultures of the world, we can find references to creatures of diminutive size who live in some sort of parallel, spiritual world, and are seldom seen, but often felt. These creatures go by a variety of names. Probably the most common name is Fairy, from the Latin word fata, meaning fate. They are linked to the classical Greek Fates, who were believed to control the fate and destiny of the human race. 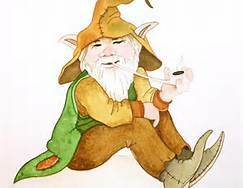 The other names we encounter are Gnomes, Leprechauns, Elves, Pixies, Brownies, Water Sprites, Hobgoblins, Wood Nymphs – stop me when you recognize the name that you remember from your childhood. The Native American and Celtic cultures refer to them as the Little People, who are here to teach us lessons about living in harmony with nature and others. All of these creatures have certain things in common. They are happy and playful, often mischievous. They love music, especially dancing to music. They can be helpful, but only if their realm is respected. If they are encroached upon, they can be mean and create havoc. But most importantly, they are magical. 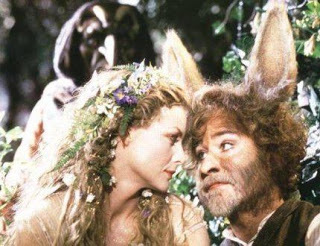 Many great pieces of literature refer to these creatures. 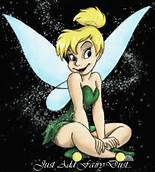 Perhaps the most famous Fairy is the one in the tales of Peter Pan, named Tinkerbell. She even came equipped with a special dust that made it possible for a child to fly. If, in fact, these creatures are imaginary, why have so much time and print been devoted to discussing them? Why do they show up in so many diverse cultural collections of folklore? Maybe the answer to these questions lies in the fact that they are not imaginary. Maybe they are real. We adults declare them to be imaginary, because we would be deemed crazy, or at least eccentric, if we went about talking about our encounters with the Little People. Years ago, when we were still innocent children, I believe we had very real encounters with these wonderful creatures. If we ever shared our experiences with our parents or other adults, we were told over and over that they didn’t exist, until we finally lost our belief, and couldn’t see them anymore. How sad is that? 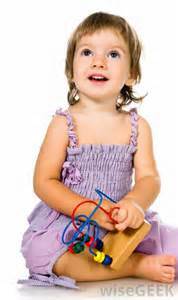 If you have the opportunity to observe a child who is playing alone, watch what happens. Don’t disturb them or let them know you are watching. Just sit quietly and watch. At some point you will see them “connect” to something, or someone that you do not see. Don’t try to discuss the encounter with them, just know that the encounter was magical. It is too bad that they will soon learn to ignore and forget these encounters, as you and I have. But, you may ask, why is Santa included in this discussion of supposed imaginary creatures? Have you not read “Twas the Night Before Christmas” by Clement Moore, wherein he refers to Santa as “…a little old driver” and describes him as “…a right jolly old elf?” And then there is the magical aspect of Santa “…laying his finger aside his nose, and giving a nod, up the chimney he rose.” Is Santa another one of these creatures that existed in our reality as children, and has since been erased from our recollection? This entry was posted in Santa Clause and tagged Blithe Spirits, Celtic, Christmas, Clement Clarke Moore, Fairy, Gnomes, Grandma Got Run Over, leperchauns, Midsummer's Night Dream, Native American, Peter Pan, Pixies, Santa, Santa Claus, Shakespeare, Sprites, Visit From St. Nicholas, Wood Nymphs. Bookmark the permalink. 3 Responses to Fairies and Gnomes and Santa! Oh My! How timely and well-stated. Without giving it much thought in the past, I have to be included in the belivers’ column. 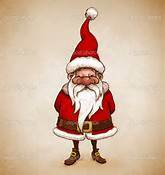 I wrote a Christmas story many years ago for my children called the Elves of Christmas. 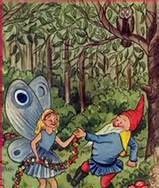 I also outlined and started another story, Fairies of The Mist, which discribes the”little people” with traits exactly as you’ve suggested. Christmas allows us to once again re-live our “beliefs” through our children without fear or guilt of what the child in all of us knows is true. write-up and also the rest of the site is really good.